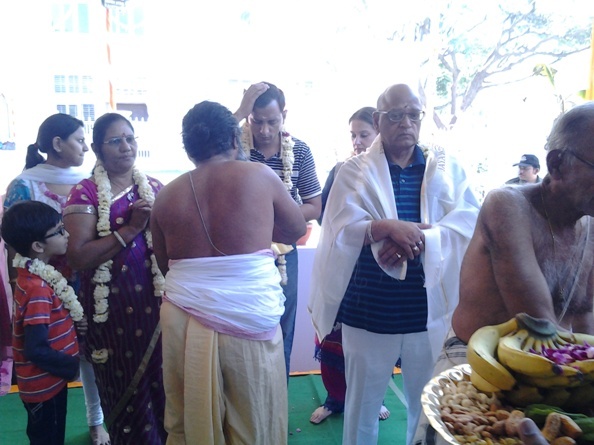 With the benign Blessings of His Holiness Pujyasri Jayendra Saraswathi Shankaracharya Swamiji and His Holiness Pujyasri Sankara Vijayendra Saraswathi Shankaracharya Swamiji, Rig Samhita Havan was performed at Indore in Madhya Pradesh from 5-9 March 2014. Rigveda is one of the four Vedas. It contains Ten Mandalas, 1028 Suktas &10552 mantras. 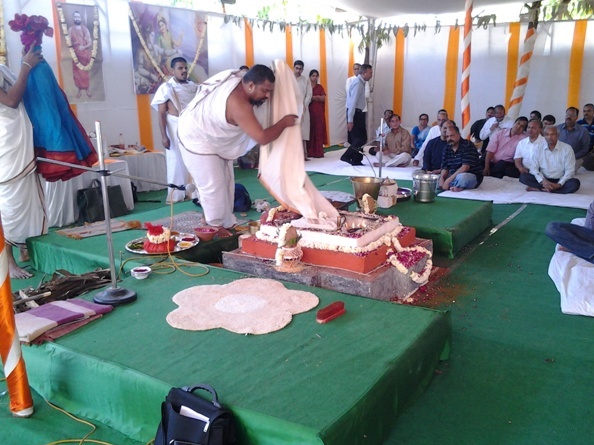 As prescribed in the Shastras, the Rig Samhita Havan is performed by Rigvedis with offering of ghee and tila to the Devatas mentioned in the Mantras with Swaahaakar. For every Sukta the Devata, Rishi and Chanda (Metre) is recited and thereafter the ablutions are offered. The whole Rigveda Samhita is chanted in this manner. 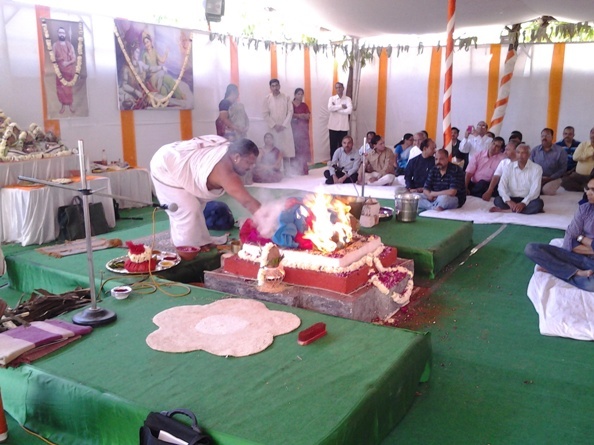 The performance of Rigveda Samhita Havan results in Vishwa Shanti. 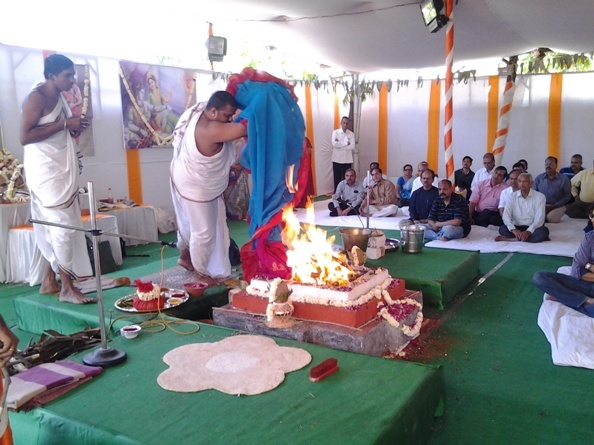 Poornahuti was performed on 9 March 2014.